The first contract, the first client, the first million. Talk about success? Anyone can do that. But about mistakes? Admitting that you trusted the wrong person, bet too much money on the wrong horse, looked the other way for too long? Difficult. For almost eight years, the business magazine impulse has been asking successful entrepreneurs about their “biggest mistakes”. The long-time column about economic failure reaches its climax now with a collection of honest confessions. 91 stories of entrepreneurial errors have been bound on 244 pages, between two linen covers and flanked by personal black-and-white portraits: failure can be so beautiful. And so Manfred Maus, co-founder of the OBI markets, tells us about when he looked away as bribe money was flowing through his company. Or the former chairman of the board of Hannover Finanz recounts relying on overzealous managers. Architect Meinhard von Gerkan trusted shady clients. No path is a straight line, not even those that seem successful. An intimate, direct and informative book that makes the life experience of big names tangible to us. 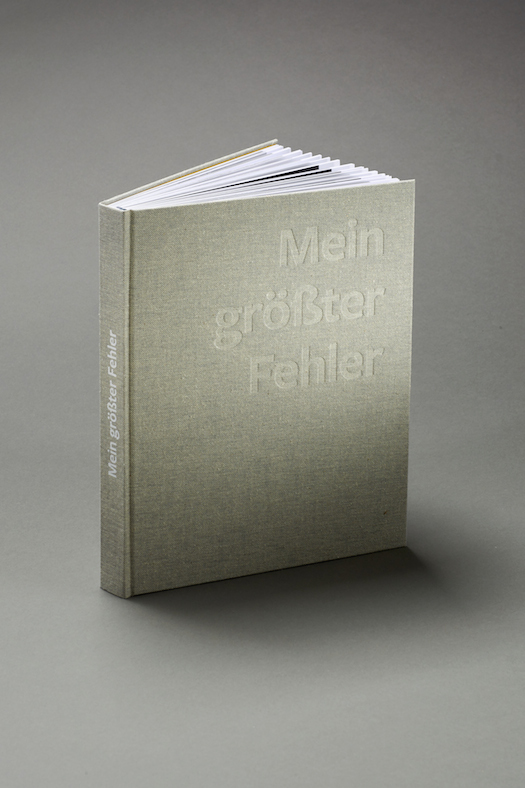 And because we, too, want to celebrate blunders, we’re giving away a copy of „Mein größter Fehler“ to the particularly stumble-prone amongst you. Send us an email headlining “TRIAL AND ERROR“ to hurra@muxmaeuschenwild.de.